There’s a first time for everything and that time is this Friday. 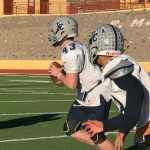 The ‘first’ is a meeting of two middle school programs from two different regions of the state. 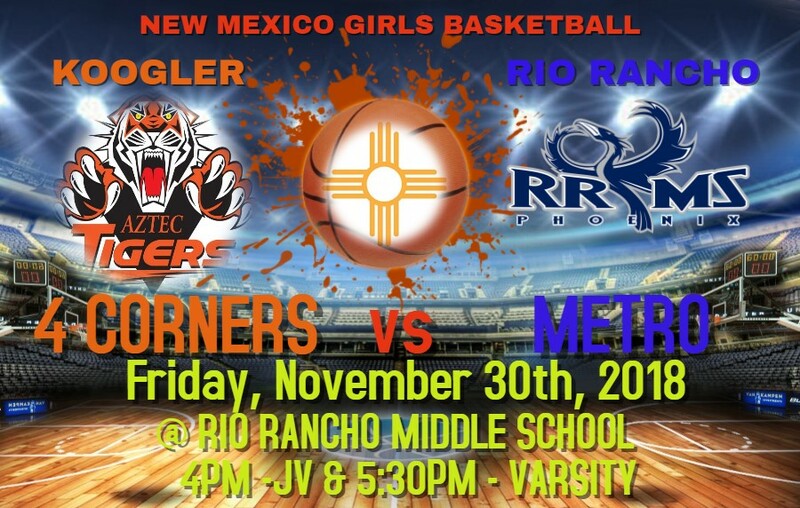 On November 30th, the Koogler Middle School girls basketball team will take on the Rio Rancho Middle School girls in a first-ever matchup between the two programs. 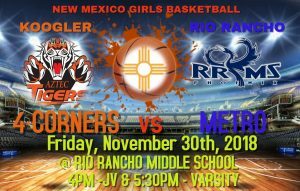 The event will take place at Rio Rancho Middle School with the JV starting at 4pm and the varsity tipoff scheduled for around 5:30pm. It will be the Phoenix versus the Tigers. 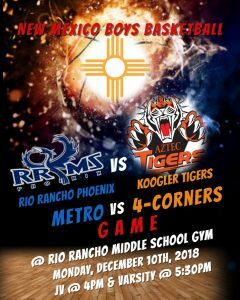 The boys basketball teams from each school will meet on December 10that Rio Rancho Middle School. 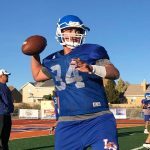 The two-year series will move to the Four Corners in the 2019-2020 school year.